Kodo apartments is set to be Adelaide's tallest residential development, with its rooftop to feature the city's tallest "sky garden". 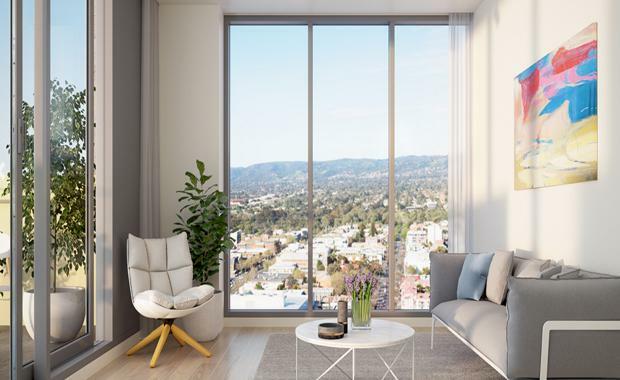 Kodo will offer one, two or three bedroom apartments in the heart of Adelaide within its commercial business district on Angas Street near Victoria Square with lofts and penthouses that will be designed using natural materials, elegant fine profiles and neutral colours. Prices start from $346,500. The rooftop garden will comprise a 1,074sqm terrace area including lawns, trees and barbecue areas.On the top floor of the podium, an exclusive resident sky garden will be established with landscaped entertaining and recreation areas, as well as surrounding apartments with mezzanine floors and generous private terraces. The external feature is aimed to set Kodo apart as a space for residents to maintain their own garden. Communal gardening is increasingly popular around the world, particularly for those who live in urban areas who wish to retain a garden. The developers behind the project are PCD - Premier Capital Developments - who have recently completed the construction and delivery of one of Flagship’s key land holdings, the 237 residential tower – Sunday Coventry Street Apartments, Southbank plus the proposed residential development at North Terrace in Adelaide. Located near Central Markets, Kodo will incorporate 208 apartments plus ground floor retail and commercial tenancies. It has been designed by world-class architect Woods Bagot with a four-level podium from ground level, which will incorporate car parking, bicycle parks and residential apartments. Architect Peter Miglis from Woods Bagot is passionate about how the terrace amenities will elevate the lifestyle at Kodo. “Being able to grow your own fruit and vegetables on the terrace gives a sense of ownership, and a community, that we’re creating,” he says. Kodo’s residents will also have the Adelaide Central Market just 350m from the doorstep of the building. Steve Wise, Director of Flagship Property Holdings and developer of Kodo apartments, told The Advertiser that Adelaide city continues to give buyers more bang for their buck. “We think the Adelaide city centre is on the verge of a major new growth phase thanks to new government funded infrastructure and significant inner city investment,” he says. Australian construction company Watpac has been announced as the preferred contractor to build Flagship Property Holdings’ development worth $100 million, according to The Courier-Mail. Construction on what will be Adelaide’s tallest residential apartment development is planned to commence mid-year and will create more than 200 new jobs. Mr Wise said the developer is delighted to partner up with one of the country’s premier construction companies.